Lately, religious freedom has become a matter of intense debate in the United States. The easy assumption that has existed throughout most of American history, that religion is a good thing that benefits society as a whole, is no longer so widely accepted. And so believers increasingly must justify the protection of religious associations to skeptical fellow citizens. At the heart of the Soviet experiment was a belief in the impermanence of the human spirit: souls could be engineered; conscience could be destroyed. The project was, in many ways, chillingly successful. But the ultimate failure of a totalitarian regime to fulfill its ambitions for social and spiritual mastery had roots deeper than the deficiencies of the Soviet leadership or the chaos of a “command” economy. Beneath the rhetoric of scientific communism was a culture of intellectual and cultural dissidence, which may be regarded as the “prehistory of perestroika.” This volume explores the contribution of Christian thought and belief to this culture of dissent and survival, showing how religious and secular streams of resistance joined in an unexpected and powerful partnership. The essays in The Dangerous God seek to shed light on the dynamic and subversive capacities of religious faith in a context of brutal oppression, while acknowledging the often-collusive relationship between clerical elites and the Soviet authorities. Against the Marxist notion of the “ideological” function of religion, the authors set the example of people for whom faith was more than an opiate; against an enduring mythology of secularization, they propose the centrality of religious faith in the intellectual, political, and cultural life of the late modern era. This volume will appeal to specialists on religion in Soviet history as well as those interested in the history of religion under totalitarian regimes. Modern Chinese history told from a Buddhist perspective restores the vibrant, creative role of religion in postimperial China. It shows how urban Buddhist elites jockeyed for cultural dominance in the early Republican era, how Buddhist intellectuals reckoned with science, and how Buddhist media contributed to modern print cultures. It recognizes the political importance of sacred Buddhist relics and the complex processes through which Buddhists both participated in and experienced religious suppression under Communist rule. Today, urban and rural communities alike engage with Buddhist practices to renegotiate class, gender, and kinship relations in post-Mao China. This volume vividly portrays these events and more, recasting Buddhism as a critical factor in China’s twentieth-century development. Each chapter connects a moment in Buddhist history to a significant theme in Chinese history, creating new narratives of Buddhism’s involvement in the emergence of urban modernity, the practice of international diplomacy, the mobilization for total war, and other transformations of state, society, and culture. Working across an extraordinary thematic range, this book reincorporates Buddhism into the formative processes and distinctive character of Chinese history. 1989 brought a tectonic shift in Central and Southeastern Europe as Communism imploded and alternative political parties emerged. In Poland, religious institutions looked to take advantage of the new situation, as they were the countervailing force against Communist rule. This dynamic helped shape Polish culture for years and decades to come. Mikhail Gorbachev and Daisaku Ikeda are contemporaries raised in different cultures: Gorbachev is a statesman whose origins are the Marx-inspired world of Communism while Ikeda is Buddhist inspired by the thirteenth-century Japanese sage, Nichiren. “Moral Lessons of the Twentieth Century” emerges from a series of conversations between these two men. Together they explore their experiences of life amidst the turmoil of the twentieth century and together they search for a common ethical basis for future development. Their wide-rangeing and often inspiring discussions take place in politics, economics, history, religion and spirituality, and epitomise the value of informed intercultural dialogue and reflection. They conclude that peace, progress and social justice can only be achieved through honest communication and cultural exchange. As the new century begins, they have sought to turn the spotlight on the challenges which face humanity. Next month, Transaction will publish The Dark Side of Church/State Separation: The French Revolution, Nazi Germany, and International Communism, by theologian Stephen Strehle (Christopher Newport University). The publisher’s description follows. The Dark Side of Church/State Separation analyzes the Enlightenment’s attack upon the Judeo-Christian tradition and its impact upon the development of secular regimes in France, Germany, and Russia. Such regimes followed the anti-Semitic/anti-Christian agenda of the French Enlightenment in blaming the Judeo-Christian tradition for all the ills of European society and believing that human beings can develop their own set of values and purposes through rational means, apart from any revelation from God or Scripture. Stephen Strehle’s analysis extends our understanding of church/state relations and its history. He confirms the spiritual roots of modern anti-Semitism within the ideology of the Enlightenment and recognizes the intimate relationship between anti-Semitism and anti-Christianity. Strehle questions the absolute doctrine of church/state separation, given its background in the bigotries of the philosophes. He notes the nefarious motives of subsequent regimes, which used the French doctrine to replace the religious community with the state and its secular ideology. This detailed historical analysis of original sources and secondary literature is woven together with special appreciation for the philosophical and theological ideas that contributed to the emergence of political institutions. Readers will gain an understanding of the most influential ideas shaping the modern world and present-day culture. I first encountered the writing of the political theorist Gerhart Niemeyer in a college course in post-War intellectual history. Together with Eric Voegelin, Niemeyer was an important and interesting writer who explored the complicated relationship of Christian thought to the political horrors of the twentieth century. I will be an eager reader of this new book just published by St. Augustine Press, The Loss and Recovery of Truth: Selected Writings of Gerhart Niemeyer (St. Augustine 2013, edited by one of St. John’s own–Professor Michael Henry). I have reproduced the publisher’s long description of the book in full below because I am hopeful that this will be a useful introduction to those who are unfamiliar with Niemeyer (or who, like me, haven’t read that much of him). One other side-note that I recently learned: Judge Paul Niemeyer of the Fourth Circuit Court of Appeals is Professor Niemeyer’s son. That the United States is currently in the midst of a serious crisis, even an ideological civil war, which is part of the general and prolonged crisis of Western civilization is obvious to any thoughtful observer. One of the most perceptive observers of the development of this crisis was Gerhart Niemeyer. As a fugitive from Nazi Germany, a devout Christian, and a political theorist who had mastered the philosophical tradition and the Communist worldview, he was particularly well equipped to discern the ways in which the various modern ideologies insidiously erode the substance of truth and order in contemporary society and to seek remedies in the return to the ontological and spiritual roots of order in the Western tradition. The writings collected in this volume, many of which were previously unpublished, are chosen from Gerhart Niemeyer’s essays, conference talks, and letters. The first part, intended to introduce the reader to Niemeyer on a more personal level, includes an unpublished essay describing his experiences in Nazi Germany and in the America that he encountered on his arrival in 1937. Several letters and other short works provide a sense of his character and his deeply Christian view of human life, both of which were essential to his grasp of truth. The character of Niemeyer’s search for “The Recovery of Truth” appears in the subdivision of the thirty-four essays of the third part under the topics of political theory, education, Conservatism, and Christian faith. Although these essays also consider the loss of truth, they are concerned primarily with the quest for its recovery through faith, divine grace, and a clear-eyed understanding of reality. This section begins with his 1950 work “A Reappraisal of the Doctrine of Free Speech” in which he lucidly analyzes the pitfalls of free speech in an ideological age. Among the other essays included here are works that attest to Niemeyer’s concern for a spiritual renewal in education and his profound respect and admiration for Aleksandr Solzhenitsyn, Edmund Burke, Russell Kirk, and, perhaps above all, St. Augustine. The book includes a bibliography of Niemeyer’s previously published books, pamphlets, essays, and reviews. Marta Ordon (John Paul II Catholic U. of Lublin, Faculty of Law) has posted Freedom of Association in the People’s Republic of Poland and Its Restriction with Regard to the Roman Catholic Church. The abstract follows. The desire to associate with others is a manifestation of the social nature of every human being. In modern democracies, the right to associate is regarded as one of the personal liberties. Such democratic states create favorable conditions for the operation of various types of organizations, including those established to pursue religious goals. However, it was not the case in the People’s Republic of Poland (“PRP”), that is, under the communist rule. In a country modelled on the Soviet state and acknowledging the supremacy of the Communist Party over the entire society, all the other actors of the social system were expected to be mere “dummies on the public scene dominated by the Communist Party.” It is worth noting that the political system deployed in Poland after World War II was based on the atheistic Marxist ideology that was hostile to any religion or religious organizations, particularly the Roman Catholic Church. What follows, when pondering upon the issue of freedom of association in the PRP and its restriction with regard to the Catholic Church’s organizations, the ideological aspects must not be disregarded. As a part of the introduction to the main body of the paper, the author will clarify the difference between the concept of freedom of association as adopted modern democracies and that reinforced in socialist countries, as well as demonstrating the attitude of communist authorities to the Roman Catholic Church and its organizations. Further, legal and factual constraints will be exposed that led to almost a total elimination of the Church-led organizations in communist Poland. The paper primarily explores the Polish literature on the subject and the material gathered in the Polish state and Church archives, since nothing about the subject has yet been published in English. 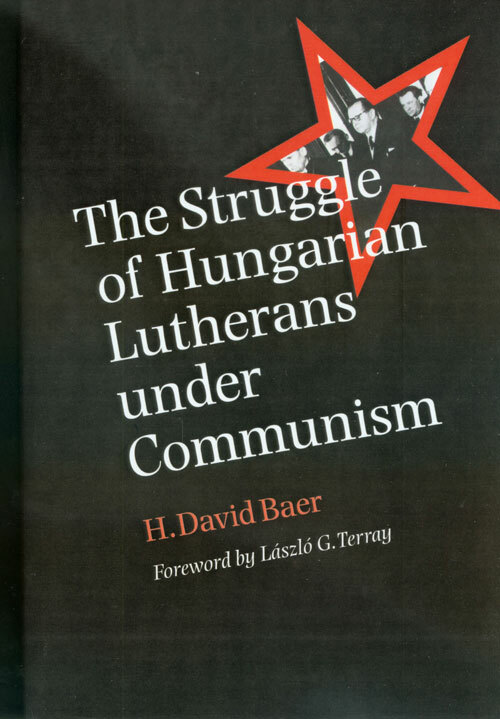 Last Month, Texas A&M University Press published The Struggle of Hungarian Lutherans under Communism by H. David Baer (Texas Lutheran University). The publisher’s description follows. What does a religious community do when confronted by a political regime determined to eliminate a religion? Under communism, Hungary’s persecuted Lutheran Church tried desperately to find a strategy for survival while remaining faithful to its Christian beliefs. Appealing to the Lutheran Confessions, many argued that the church can do whatever is necessary to survive provided it does not compromise on its essential ministry, while others appealing to the witness of the confessor Bishop Lajos Ordass argued that the church must uncompromisingly witness to the truth even if that means ecclesiological extinction. In The Struggle of Hungarian Lutherans under Communism, H. David Baer draws upon the disciplines of theology, history, ethics, and politics to provide a comprehensive analysis of the different strategies developed by the church to preserve its integrity. Relying on previously unnoted archival documents and other primary sources, Baer has made a substantial contribution to Eastern European studies. Vigorously written, his telling of the history is also a sensitive and moving account of courage and cowardice in the fact of religious persecution. This book should be of interest not only to students of religion in Eastern Europe but also to anyone concerned about the problems that arise wherever there is religious persecution. Next month, Wm. 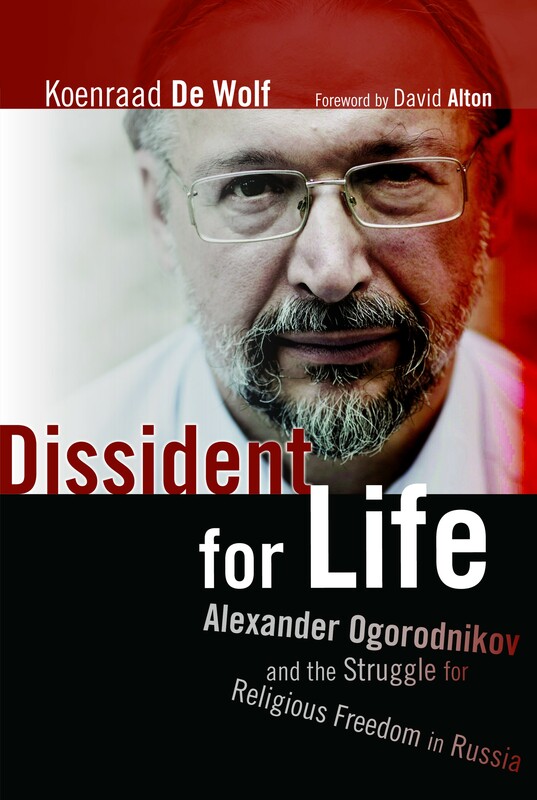 B. Eerdmans Publishing Co. will publish Dissident for Life: Alexander Ogorodnikov and the Struggle for Religious Freedom in Russia (2013)by Koenraad De Wolf. The publisher’s description follows. This gripping book tells the largely unknown story of longtime Russian dissident Alexander Ogorodnikov — from Communist youth to religious dissident, in the Gulag and back again. Ogorodnikov’s courage has touched people from every walk of life, including world leaders such as Bill Clinton, Ronald Reagan, and Margaret Thatcher. This August, Ohio University Press published Between the Brown and the Red: Nationalism, Catholicism, and Communism in Twentieth-Century Poland by Mikolaj Stanislaw Kunicki (University of Notre Dame). The publisher’s description follows. In this study of the relationship of nationalism, communism, authoritarianism, and religion in twentieth-century Poland, Mikołaj Kunicki shows how the country’s communist rulers tried to adapt communism to local traditions, particularly ethnocentric nationalism and Catholicism. Focusing on the political career of Bolesław Piasecki, a Polish nationalist politician who started his journey as a fascist before the war and ended it as a procommunist activist, Kunicki demonstrates that Polish Communists reinforced the ethnocentric self-definition of Polishness and—as Piasecki’s case proves—prolonged the existence of the nationalist Right.